At first look, I was drawn to the design of Argent’s clothes—practical and chic. 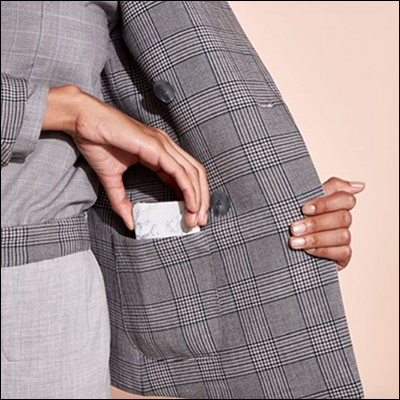 Founders Sali Christeson and Eleanor Turner talk style and starting up a business focused on making, embracing and advocating better workwear for working women. was the epiphany toward this creative commitment? Sali: As a woman working in finance and tech for years, I was both frustrated and bemused by the lack of options. Getting dressed for work every day was an absolute cluster, because of the massive gap in availability of work attire that crosses the divide between office appropriate and personal style. After years of thinking about the problem, I left the tech industry to find a solution. The ultimate catalyst for leaving was the fact that women are judged based on what they wear, and no one has defined what’s appropriate across different industries—in my mind, this had to be addressed immediately. Eleanor: When Sali approached me with this idea, I was not interested, as workwear has traditionally been boring and vanilla. 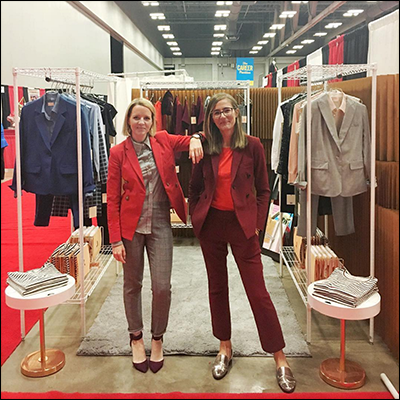 Once I saw the options available (or not available) to working women, I realized that I had the perfect experience to redefine work apparel through not only our products, but through branding as well. did you keep this idea? Did you write it down? Doodle it? Sali: During my first job in banking, I was shocked by how difficult it was to find work appropriate attire that I actually liked. As my career progressed, it was something that I was always paying attention to. I intentionally chose my career path knowing that there was a very real potential for me to want to pursue this opportunity. In many ways, my “lightbulb moment” was more of a “it’s now or never” moment. Honestly, I left Cisco with little more than a gray idea. I was incredibly fortunate to have found Eleanor early on in the process, as she had spent years working for brands like like J.Crew, Tory Burch and Tommy Hilfiger. The idea, in a macro sense, has been consistent, but the execution continues to be an iterative process. Eleanor: There was a real life light bulb moment when I decided that function should be at the heart of our design process. When we first started talking, Sali continued to highlight some of the key challenges she and her peers were facing. I still remember the breakthrough moment when I decided we should incorporate function. I concepted a few ideas that have really become staples of our designs, such as media pockets, sweat wicking panels and elastic bands hidden in cuffs. There was a very obvious need for functional clothing that did not compromise aesthetic, which is what we are offering with Argent. Semantics: Is there a difference between “fashion” and “style”? 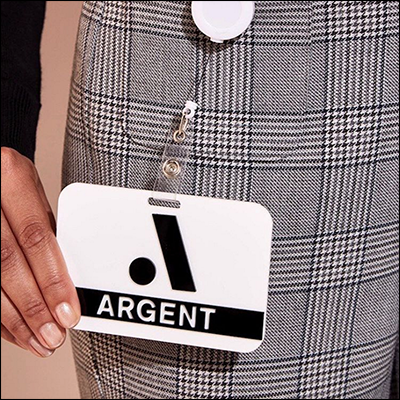 What adjectives accurately portray Argent’s workwear? Upon discovery, quickly thought: Dapper, coinciding with #FuckYeah. Eleanor: Yes. Fashion is the brand. Style is the person. Argent is both. Adjectives that come to mind: bold, confident, irreverent, appropriate, provocative, unapologetic. Argent from an idea to a reality? Sali: I put in my notice at Cisco and started socializing my vision with my peers. As with anything, once you tell enough people, you feel obligated to make it happen. They all looked at me like I was crazy, because I wasn’t able to articulate it well. After leaving, I spent the first couple of months meeting with various folks and really solidify the vision in a macro sense. I also worked through a business plan template to ensure I knew what to prioritize. Convincing Eleanor to join full-time was high on my list. The other thing that I’m glad I did early on was to engage a few advisors that are still very involved with the company. Eleanor: When I first began working on Argent, I knew I didn’t want to design another basic line of clothing. I wanted to do something different, so I started talking to working women and Sali about what they did during their days. What I inferred from the information was, I want style, but I’m busy. I saw the opportunity to solve problems with clothing without sacrificing style. After that, I did tons of research and transformed the idea into a brand. of Argent? What makes you an excellent team? Sali: Eleanor and I are polar opposites (we even took a personality test that proved this), but I think this makes us the perfect team. Also, the combination of our backgrounds—the fact that I come from the tech world and she comes from the fashion world—definitely informs the brand in really unique ways. We are essentially our own target audience. How do you manage the coast-to-coast collaboration? Eleanor: Sali is a morning person and I am a night owl, so that definitely helps. We also over-communicate, which is extremely important when working on different sides of the country. How did you make yourselves decide to start Argent? Because “Just do it” is easier said than done. Sali: I think once I left my job, I didn’t really have a choice. I had already committed. And the fact that there is a larger mission to what we are building is definitely a driving force and constant motivator. Eleanor: Completely agree with Sali, once we realized the massive opportunity, there was just no looking back. (to-dos, must-dos, et al.) in making “smarter workwear”? Eleanor: We are both simultaneously organized and unorganized in an effort to move things forward. That said, there is always a larger goal driving our priorities and execution. We both juggle to-do lists, ideas and emails to the best of our ability. When it comes to the clothes, there is definitely a core process that I have learned from my years in design that I have adjusted to work within our shorter timeframe. The most basic workflow is design, develop and produce, with a constant goal of letting the passion manifest itself throughout. Liking this composition. ← Where is this from? Eleanor: This is our color palette for our launch collection—Spring 2016. Color is a huge area of passion for me. I fell in love with this photo and the composition of color. It became the initial inspiration for the palette, and I iterated from there. Sali: Too many to name. That said, my level of appreciation for the entrepreneurs of the group has increased significantly—Brian Chesky, Howard Schultz, Richard Branson, Elon Musk—given the numerous challenges associated with converting an idea into a viable business. Eleanor: I have many, but I’m a huge fan of Tommy Hilfiger, not only because I used to work for him, and he is one of our most active advisors, but he has remained relevant throughout the years and has reinvented his brand on many different levels. I also love what Ty Haney and Emily Weiss are doing with their brands, Outdoor Voices and Glossier, respectively. In terms of ready-to-wear fashion, I’m loving the rebranding some of the old houses are going through and the new marketing angles they are employing. Gucci, Kenzo, Balenciaga, with Demna Gvasalia, have all been super exciting to watch! in working well, in working as best as possible? Sali: Communication is key. Standing meetings are definitely best practice (team meetings and 1:1s). And transparency. Time constraints make both incredibly challenging. In terms of being at your personal best, I am a huge proponent of stepping away from work to clear your head. For me, exercise is a necessary outlet. Without it, my work product suffers. In my experience, if you don’t create those escapes, work consumes you. Sali: Honestly, we are a married couple at this stage of our relationship. A huge part of getting past disagreements is taking time as required and maintaining open communication. Generally, time leads us to an outcome that we both think is right. Who and/or what keeps you going in keeping Argent going? Sali: Our mission is definitely what keeps me motivated. It’s really exciting to build a brand that is changing the conversation, that is empowering women to be unapologetic and bold. 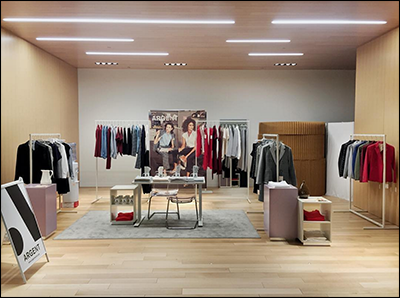 Eleanor: It is amazing to see customers who have been transformed through the clothes. 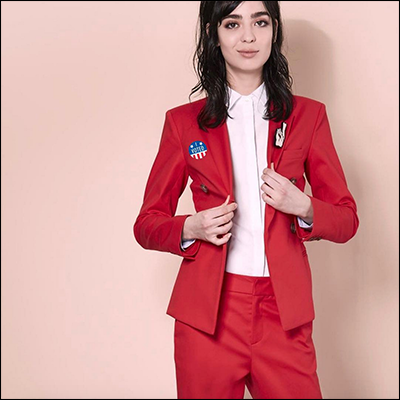 I am energized by the opportunity to influence women’s confidence by solving challenges through work apparel. Eleanor: Our customers are at the heart of our creative process and brand identity, so early on we were able to get the word out by spending a lot of 1:1 time with some really influential women working across industries. This was luckily a great first step in getting the word out. Sali: Additionally, pop-up shops are central to our business model. We are meeting women where they are, popping up in offices and co-working spaces. This allows our audience to discover and interact with the brand. How did you arrive at the name for your business? Argent is a word that we dug out of Sali’s family history. Ironically, it means silver which ties directly to working women and pay parity. It’s also short, easy to pronounce, and at the top of the alphabet. What effect do you strive to achieve with Argent? Sali: We want to empower ambitious women to drop-kick the glass ceiling. Eleanor: We want to change the game for women by giving them the clothes they need to succeed and a brand they can depend on for support. All images courtesy of Argent.